“On urban network evolutions: The case of the Decapolis city Gerasa in Jordan”. Lecture by Rubina Raja Centre for Urban Network Evolutions (UrbNet), Aarhus University. This lecture will focus on giving an overview of new research undertaken in the well-known Roman to early Islamic-period city Gerasa/Jerash located in modern northern Jordan. 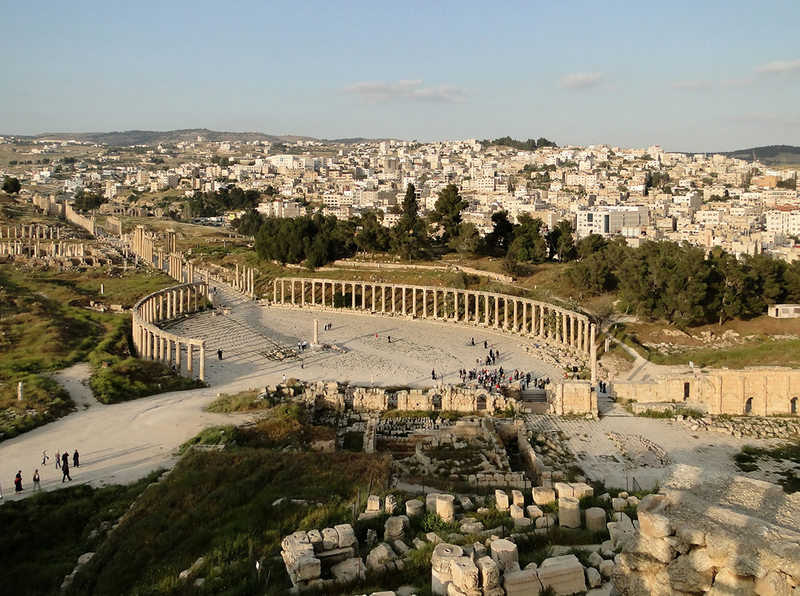 The work undertaken by the Danish-German Jerash Northwest Quarter Project since 2011 has given priority to understanding one specific area of the city, the highest point within the walled city, prominently located overlooking the Roman-period Artemision. This quarter, comprising approximately 4 hectars of land, has been investigated in order to understand the development of the city within the already known areas and determine whether looking at areas outside of the so-called centre of the city might give insight into urban development processes. The project has yielded fruitful results, including new evidence for the street layout, domestic housing, water management in the periods from the 1st century AD into the mid-8th century AD, when a devastating earthquake hit the region, and activity in the Northwest Quarter came of a halt.